All the picturesshow the current design. Last edited by rocklaurence on Wed Apr 29, 2015 11:50 am, edited 9 times in total. Crikey! That hitch is brutish! Tatsadasayago wrote: Crikey! That hitch is brutish! I took it a step further [strength wise] with a 3/8" plate to tie the receiver to the cross bar. Last edited by rocklaurence on Mon Dec 08, 2014 3:01 pm, edited 1 time in total. any pics of them installed? Last edited by rocklaurence on Thu Dec 25, 2014 8:34 am, edited 3 times in total. Wow... That thing is a beast. Will it fit other FSJs? Yeah, I'd like one for a Cherokee! BJs sells them for the Wagoneer and I cant make one as cheap as they're selling theirs. But your appears to be much beefier! I think some would pay more for such a hitch. 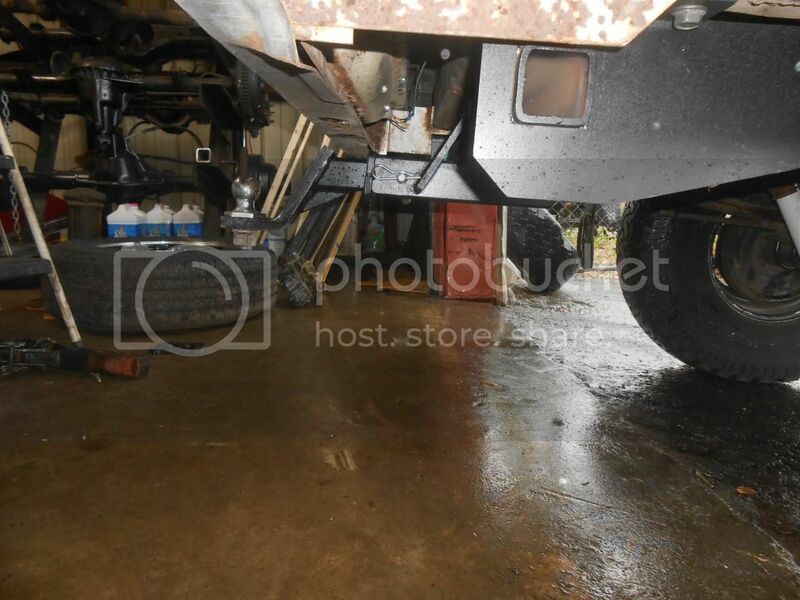 Is it a matter of the rear frame rails being shaped differently or would yours work with moving the mounting plates closer together before welding them to the crossbar? Tatsadasayago wrote: But your appears to be much beefier! I think some would pay more for such a hitch. The frame rails are closer. I'll check the frame on the Cherokee that I'm working on to see. 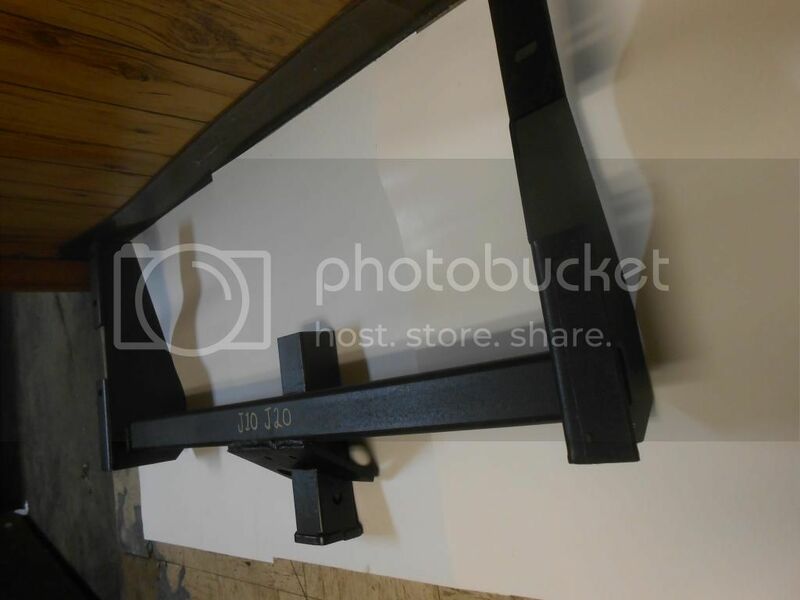 Somewhere in my storage unit I have a pile of large sized paper factory prints showing the dimensions of the various frames that were used by the frame rack guys in the body shop. Might be useful, so if I can locate them I'd be inclined to share. I've Sold 4 units so far! I have 6 more available before having to order more parts. Just sold number 6...Thanks Pyro for your help. 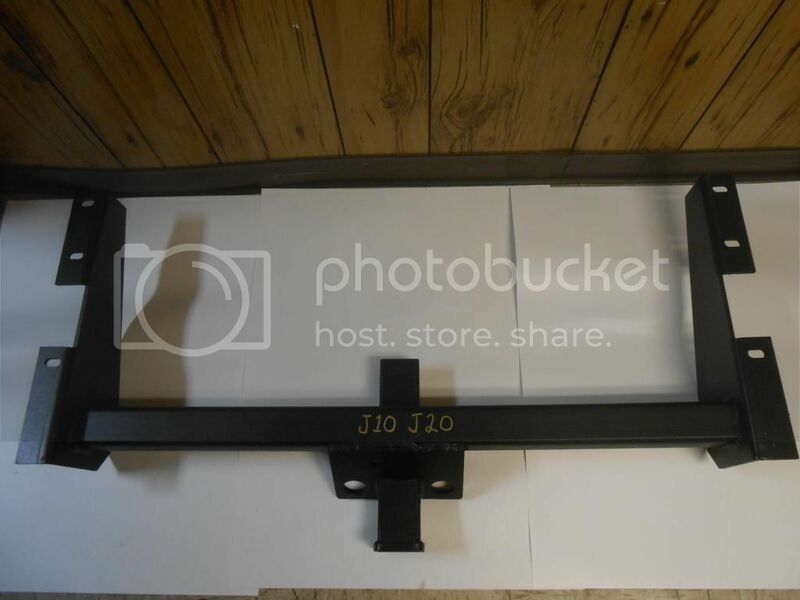 I am interested in one of these for my 86 J10. I have installed a 2wd blazer gas tank back where the spare was (LS Swap)and I worry that it may interfere with the hitch. Do you know of anyone who has installed one of these that have also added a bigger tank where the spare was? Any photos from underneath that show it mounted? 1986 J10 - 2002 5.3/4l60e/Np241c - In Progress! My engine swap started 04/2014: Check it out HERE! 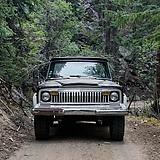 Jeepin Jeff wrote: I am interested in one of these for my 86 J10. 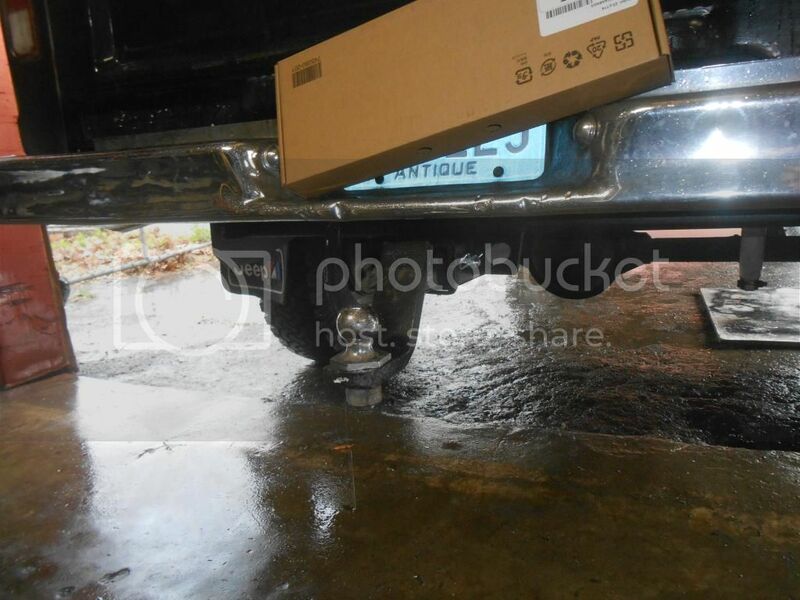 I have installed a 2wd blazer gas tank back where the spare was (LS Swap)and I worry that it may interfere with the hitch. Do you know of anyone who has installed one of these that have also added a bigger tank where the spare was? Any photos from underneath that show it mounted? 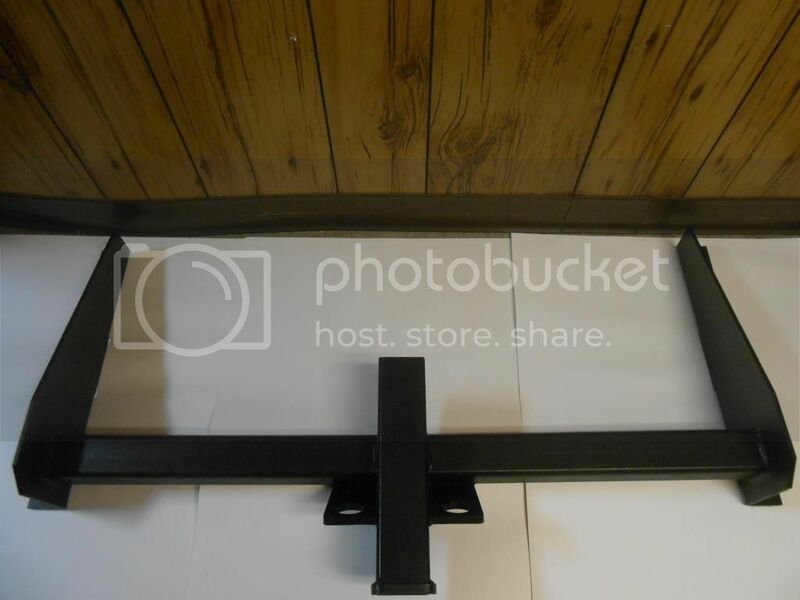 The hitch is outside the dimensions of the frame. However, the tail end of the receiver tube may extend into that area where your tank resides. 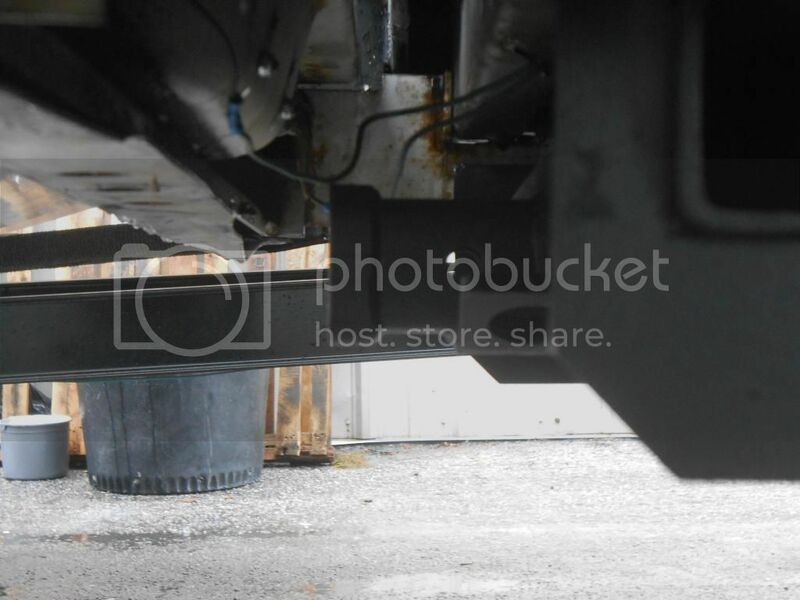 This piece can be cut off at the hitch as its not used and wont affect the hitch strength or performance. RL VAP has SOLD 15 units! Thanks guys for your support!! !